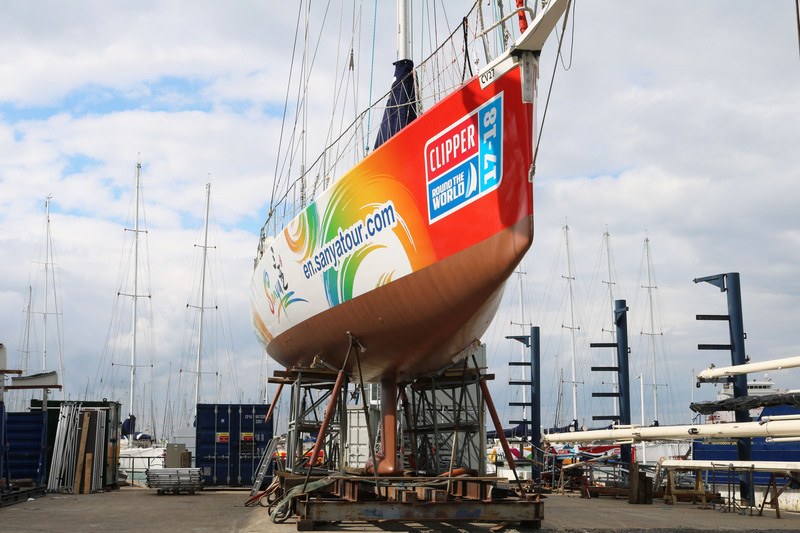 Sanya’s debut Clipper Race team yacht entry, Sanya Serenity Coast, has returned to the water following a complete refit to ensure she’s race-ready for the start of the 2017-18 edition of the Clipper Race in Liverpool on Sunday 20 August. A key part of Sanya Serenity Coast’s refit is the all-important hull wrap and its eye-catching design, created as a collaboration between Sanya and the Clipper Race. The bright swirls of colour that span the length of the Sanya Serenity Coast hull reflect the tropical paradise of Sanya which boasts picture perfect white sandy beaches lined with coconut palms, pristine waters, a balmy climate, 300 days of sunshine per year, and, unsurprisingly, dubbed ‘Chinese Hawaii’. The marine grade self-adhesive vinyl used to wrap the hull is digitally printed and laminated before being applied to the Clipper 70. The vinyl has highly durable properties that give it the strength to withstand tough sailing conditions, although each boat will be equipped with a repair kit so that any minor repairs from exposure to the elements can be done by teams in port. Sanya is the newest of two Chinese Host Ports and Team Partners for the Clipper 2017-18 Race, the other being long-term partner, Qingdao. The eleventh edition of the Clipper Race will mark the third time that the current fleet have circumnavigated the globe, having competed in the 2013-14 and 2015-16 editions.